A new survey commissioned by investor forum and advice website, The Property Hub, has found that almost 80% of landlords plan to increase their portfolios over the next 12 months, equating to 1.95 million investors. 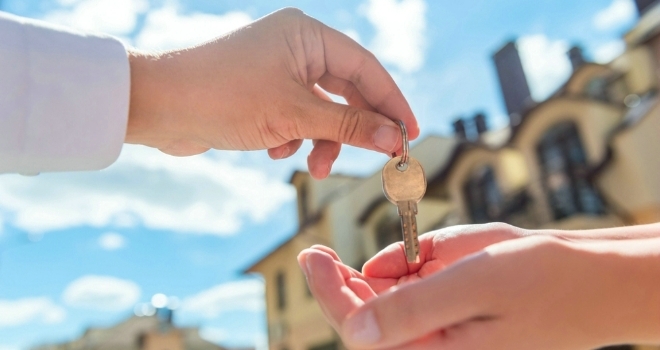 The data revealed that the vast majority of landlords will buy at least one more property in 2019 while a massive 70% say even a no-deal Brexit would be unlikely to affect their growth plans. Meanwhile, 84% of landlords polled said they had no plans to sell any properties in the next three years, and 66% said even if the government were to announce further tax measures - such as restricting interest relief for companies, they still wouldn’t be selling up. The figures come amid concerns landlords may be looking to leave the sector following a difficult few years for the sector during which we’ve seen an overhaul of the landlord tax relief system, increased regulation and a Stamp Duty hike. The survey also polled landlords on proposals that could have a significant impact on the industry, including the possibility of three-year tenancies becoming mandatory. When asked what would need to happen in order for them to support this policy a massive 82% said they’d need a way to remove tenants who fall into rent arrears that is faster than the current fault-based method, 69% said the ability to increase rent would need to be given, and 59% said there’d need to be tax incentives, like the ability to deduct more mortgage interest. Less than 9% percent said they would oppose the policy regardless. Asked what they’d need to see happen in order to support compulsory landlord licensing 37% said they’d want the removal of any additional local schemes, except those applying to HMOs, 43% said an annual fee that doesn’t exceed £100 per property. 65% want a plan to ensure that it would discourage rogue landlords – such as proof that non-registration could be detected and enforced and 55% said a tax incentive or removal of an existing anti-landlord tax measure. Again, less than 9% said they’d be against landlord licensing completely. Rob Dix says: “It’s telling that the most popular wish for licensing – more popular even than a tax break – is some reassurance that it will actually work. The majority landlords take pride in providing a good service, and are as keen as anyone for the rogues who give the industry a bad name to be pushed out. Taken as a whole, the results of our survey show that the caricature of landlords fleeing the sector when the going gets tough isn’t in line with reality. Most landlords are in it for the long term and have sound business plans – they don’t view property as a get-rich-quick scheme.